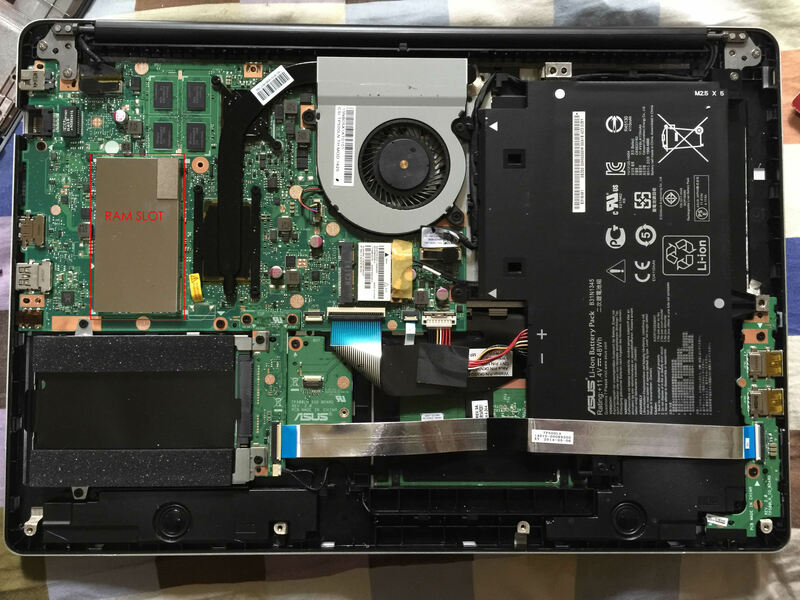 In this guide, I’ll disassemble Asus Transformer Book Flip TP500LN to remove the bottom case. My target is upgrade SSD and RAM. Asus Transformer Book Flip TP500LN’s heat sink only has one copper pipe covered the CPU and GPU, because Intel Core i7 is low voltage processor, so one copper pipe is enough. 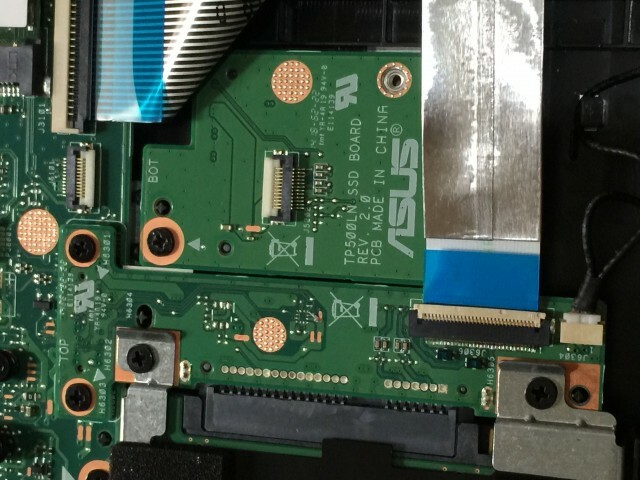 On the left of the NVIDIA GeForce 840M chip are four graphics memory chips, a total of 2G. Asus Transformer Book Flip TP500LN comes with 4GB DDR3L 1600MHz memory onboard, it’s also has a spare RAM slot, max support 12GB RAM, so you can install an 8GB RAM. Asus Transformer Book Flip TP500LN come with a 1TB hard disk, but no spare mSATA or NGFF slot, so if you want to add SSD, you can remove the hard disk and install a 2.5″ SSD.